This photograph of Karijini National Park captures so much of what I love about its landscape. The stunning gorges carved deep into the heart of the rich red earth with beautiful waterfalls and cascades that come alive in the early morning with glowing reflected light from the gorge walls towering above. This photograph is of one of my favourite places, Hancock Gorge. On this 10 day solo camping trip I would estimate that I spent a total of at leat 15 hours in this gorge. Just loved soaking it all in! 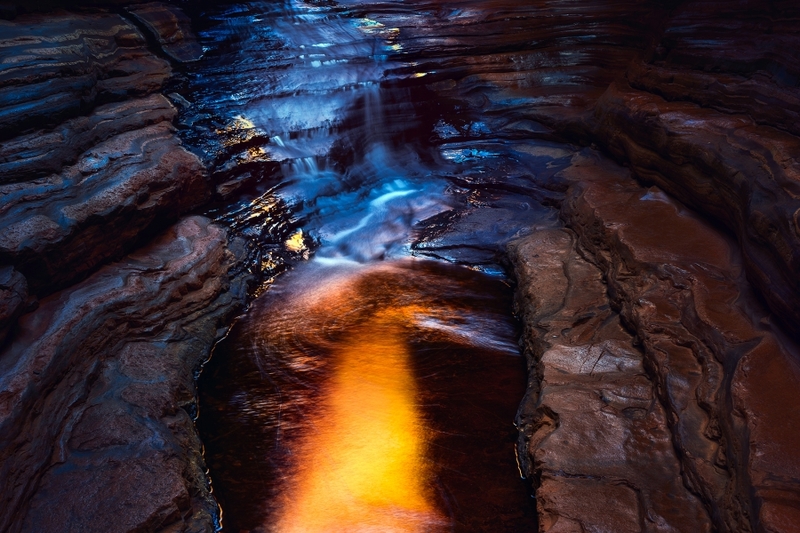 Secure your limited edition Karijini print, 'Warming Up', by selecting your desired print size in the menu to the right.